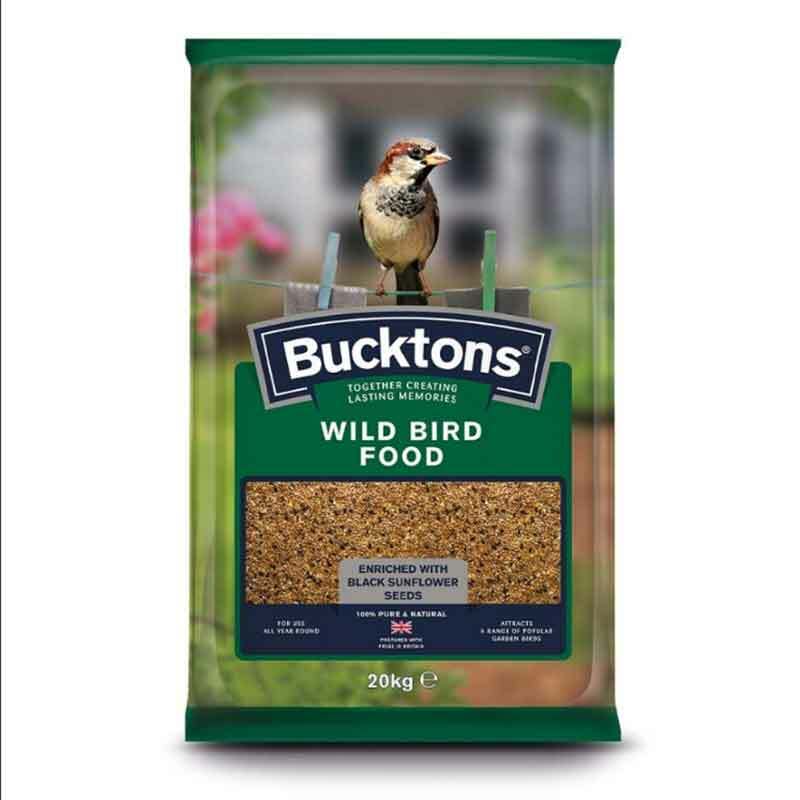 Bucktons® Wild Bird Food Mix: 20kg bag suitable to feed a large variety of garden birds. Providing a broad range of wild bird feed within different types of bird feeders will attract a variety of life and colour to your garden. If you would like further information about Bucktons Wild Bird Food, please contact our garden centre at Shawbury just outside Shrewsbury in Shropshire, by calling 01939 251315 or emailing.